Everything you will ever need in a Kitchen in one mall – Mall of Kitchens. My Tummy is Full had the privilege to tour the newly renovated Mall of Kitchens located at 9703 Kamagong St.,Corner Lawaan St., San Antonio Village, Makati City last week. 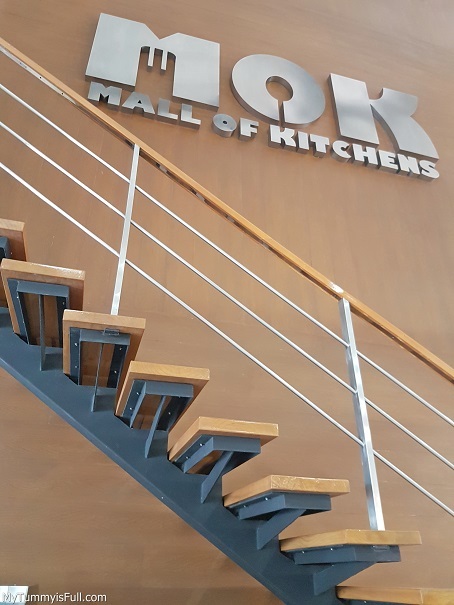 Mall of Kitchens is the first one-stop for everything Kitchen here in the Philippines. From quality kitchen equipment, utensils, food service furnishings, laundry equipment and everything kitchen you can think of. Mall of Kitchens (MOK) was recently renovated to serve its customers better. Unlike before where everything was like in that of regular warehouse shopping place, the face lift comes with it modules for different business formats. Upon entrance inside the Mall of Kitchens, showcased on its right side is the warehouse department where different kitchen equipment are on display classified accordingly. From the middle towards the left portion of MoK are setups for different models: Cafe/Bar, Bakery, Hot Kitchen, Gelateria, Wine Room and Show Kitchen as it displays a well-ventilated vibe coupled with its stylish and modern interiors. Each module features all equipment, small wares and furniture necessary to set up a business (e.g. coffee machine & grinder, blenders cake display case, dishwasher and smallwares such as glassware, cups and saucers for a start-up Café & Bar; a gelato machine and gelato mix ingredients for a Gelateria; bakery ovens, proofer, spiral mixers, under counter chillers, smallwares such as spatulas, sheet pans wire whisks, and other baking needs for a Bakery or Pastry shop; a combi steamer oven, fryer, griller/ griddle, wash water commercial kitchen hood with UV light, conveyor pizza oven for a professional hot kitchen. Some of the flagship equipment brands that can be found at MOK are Convotherm Combi Oven, Manitowoc Ice Machines, Frymaster Deep Fryers, Taylor Soft Serve Machine, Vittore Coffee Machines, Lincoln Conveyor Ovens, True Refrigeration Equipment, Vitamix Blenders, Winterhalter Dishwasher, Turbo Air Reach in chillers & Freezers, Menumaster Microwave Oven, Williams wine chillers and Kolb Deck Ovens which are top choices by hotel chefs, quick services restaurants, fastfood chains, coffee shops and other businesses in the foodservice industry. Special Items Area is also provided for those who have more specific kitchen things in mind. The above corner serves as the “model unit” for sample items for hotels and other projects. The renovation of Mall of Kitchens made it possible for simultaneous food demos to take place at one time. It’s not uncommon to see hotel chefs, entrepreneurs or homemakers even listen to MoK’s sales and technical teams showing the features of kitchen equipment and how to use them and corporate chefs holding product demos. Aside from these business modules, MOK also refurbished the Smallwares Area, setting up new gondolas by category to make them easier to navigate. The systematically organized aisles are filled with kitchen and dining essentials suited to the needs of customers. Corporate clients as well as walk-in customers like homemakers, culinary students and foodies will be pleased to see a wide assortment of smallwares. Aside from these, a whole range of dining fundamentals like dinnerware, flatware, glassware, to houseware, crystals, pots and pans, condiments and consumables are also available. There are also other kitchen necessities like bakery, coffee, pizza, and bar supplies, utensils, food storage basics and cleaning tools. There are also dining table displays and stylish and elegant buffet set-ups to give customers ideas on how to arrange their dining tables or prep their buffet for those special dinners. “Our products are priced competitively—if not lower, than others. 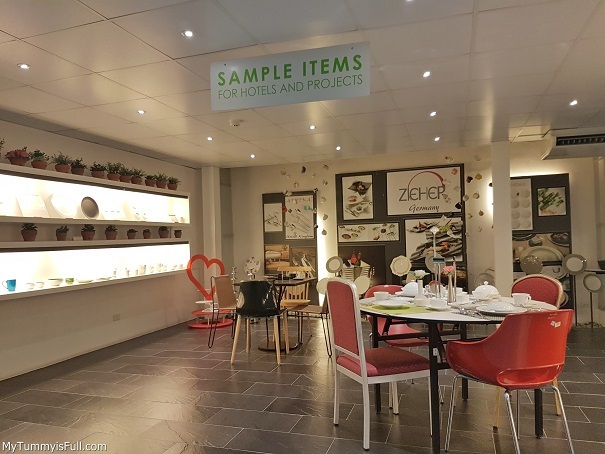 We have principals and suppliers from the USA, Europe, the Middle East, and other Asian countries,” said Jenny Carlos, Mall of Kitchens’ Vice President Sales for Smallwares. “We also attend international trade shows to keep abreast of innovative and up-to-the-minute trends and designs for further customer satisfaction,” she added. MOK’s smallwares brands include world-class products such as Rak Porcelain, Athena, De Buyer, American Metal Craft, Table Craft, and Zieher. 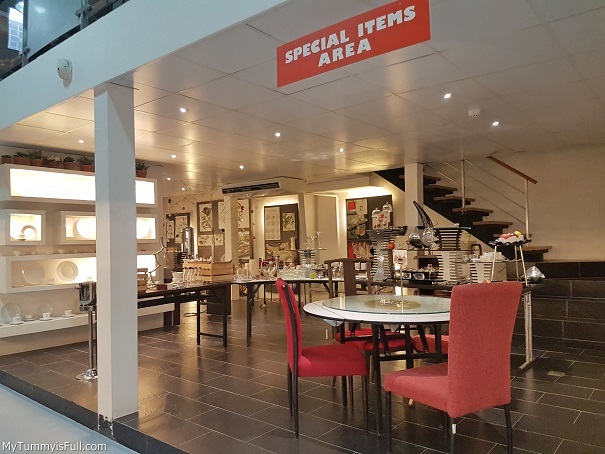 “We sell products that one cannot find in other stores like some of our flatware and buffet set-ups which are being used by top hotels. We give customers easy access to these,” Carlos explained. Mall of Kitchens is a division under Technolux, the country’s largest importer and supplier of a complete line of foodservice, small wares and laundry equipment for 41 years. 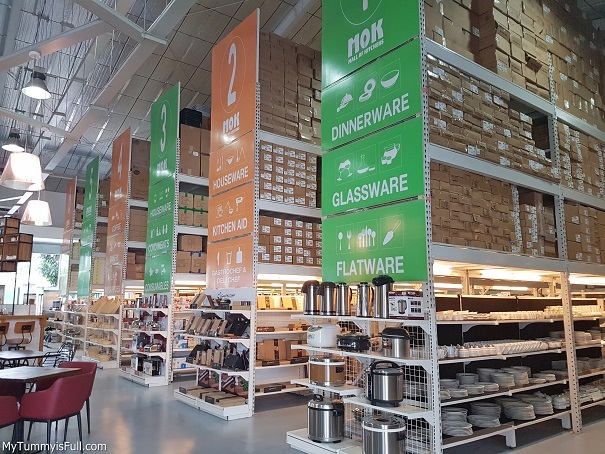 What basically sets Mall of Kitchens apart from other distributors is that MoK isn’t solely a showroom, it also serves as a retail store. I have gone around the Mall of Kitchens, even as a homemaker, I have loved the variety of things I can buy for my home. I love it best that there is ample parking space that’s not very usual in Makati. MoK also offers its clients consultancy and kitchen design services from Technolux Kitchen and Laundry designers. This is offered free of charge upon purchase of Technolux equipment. With the newly renovated Mall of Kitchens comes exciting plans like culinary demos, business kitchen presentations and more as Technolux Business Series (TBS) is seen to provide business opportunities for existing enterprises and entrepreneurs as it gears towards bringing more innovative products to better serve its clients and expand its local market. Mall of Kitchens is open from 9:00 a.m. to 6:00 p.m., Mondays to Fridays. It is located at 9703 Kamagong St.,Corner Lawaan St., San Antonio Village, Makati City. For inquiries, call 890-6758 or 552-3587. Also visit its website www.technolux.net and follow them on Facebook at Mall of Kitchens – Philippines.